Golden North Van Lines, the best Alaska moving company with locations in Anchorage and Fairbanks, has been providing reliable moving services since 1976. Whether catering to the military, residents, or corporate businesses, we offer a variety of options for your moving needs. As an agent of United Van Lines and one of the most reliable moving companies, we will assist in the relocation of your belongings, with services that include setting up furniture in your new home. We also provide international moving and relocation to over 200 countries worldwide. 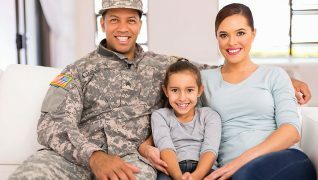 If you are in the military and searching for a reliable moving company in Anchorage to keep your relocation worry free, Golden North Van Lines knows the Federal travel requirements, and other important details necessary for a successful move. Businesses seeking a moving company to assist in their relocation in Anchorage will find our consultants are ready to handle any obstacle. We are also equipped to handle transport of sensitive electronics and computers. Read more about our moving company in Anchorage AK. We strive to keep the disruption of your employee’s crucial business time to a minimum. 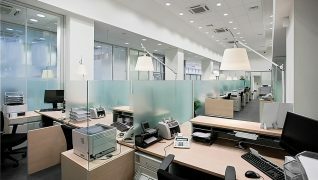 Our after-hours and weekend office moving services are designed around the needs of your business. A moving consultant will work with you on every detail of your personal moving process in Anchorage or Fairbanks to keep the move fast and efficient. We also offer trade show and electronic moves featuring expert packing services and reliable delivery. We are dedicated to the continued growth of our company in Fairbanks and Anchorage with expanded facilities in both locations. This expansion allows us to better facilitate the move of your household goods, office furniture, business machines, and documents safely in our climate-controlled storage. Golden North Van Lines is a team comprised of management, office staff, van operators, movers, operations managers, and sales representatives who work together to meet your moving needs. It’s the reason we are one of the most successful moving companies in Alaska. Learn more about our Fairbanks Moving Company.